Why don't black holes explode? Black holes emit Hawking radiation and gradually reduce in size, so is there a critical mass at which a black hole can no longer support itself? Find out in this QotW. Plus, we ask how much gravity can keep a human healthy. 00:00 - Why don't black holes explode once they lose enough mass? If it takes a very massive star collapsing to form a black hole, and Hawking radiation eats it away, then why doesn't it blow up after enough matter is eaten away? Why don't black holes explode once they lose enough mass? Andrew - I'm Andrew Pontzen. I'm a research fellow at the Kavli Institute for Cosmology at the University of Cambridge. 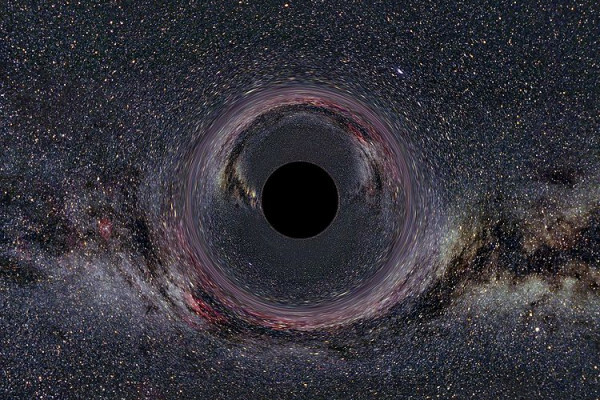 The picture the question paints is that we have this black hole and Hawking radiation is making that black hole shrink slowly until the black hole gets to below some critical mass and then suddenly it is not a black hole anymore and an explosion follows. 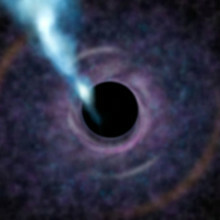 That's not quite an accurate picture because, actually, there isn't critical minimum mass for black hole. It is more to do with the density of the matter. It's about packing matter in really tightly and so it's even possible to have sort of microscopic black holes. So what actually happens is that a black hole never stops being a black hole. Once you've formed a black hole, that object is going to stay a black hole. But Hawking radiation does slowly eat away at the mass in a black hole and in fact, the prediction is that a black hole should radiate faster and faster as it becomes smaller and smaller. So, right at the end, as a black hole becomes tinier and tinier, we do expect that to be sort of energetic pop at the very end of its life as the black hole shrinks away to nothing and emits a final burst of very intense radiation. So, there is sort of a bit of an explosion right at the end, but that's not because it's reached a minimum mass. It's just because it's radiating away energy faster and faster.